Like many of you guys, I found my way to indie cosmetics by way of the indie communities on Reddit. One of the side effects of primarily experiencing indies through there is that I'm well versed in the longstanding, more popular shops a la Shiro or Femme Fatale but haven't really ventured outside to the more obscure Etsy-based shops. When I participated in a makeup exchange earlier this year, my exchange partner gifted me with six shadows from Chameleon Eye Cosmetics. I admit I was a little skeptical at first because I had never heard of the brand but I figured it was high time I started delving into the lesser-known shops to review. I can't comment on CS or shipping policies with the shop as I didn't order them myself so I'll be focusing on the qualities of the shadows themselves. Let's get started! 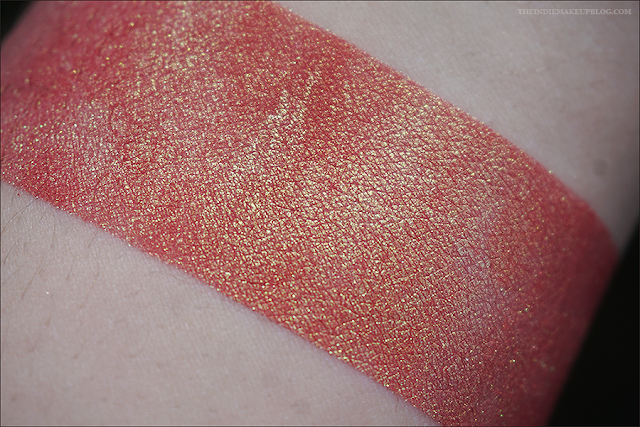 Fawkes (not vegan, lip safe) is a bright orange-toned red with heavy green shimmer and shift. I like this shade a lot, and it reminds me of a slightly redder version of Shiro I Loved A Maid. Apparently this shade is also available as a lipstick. 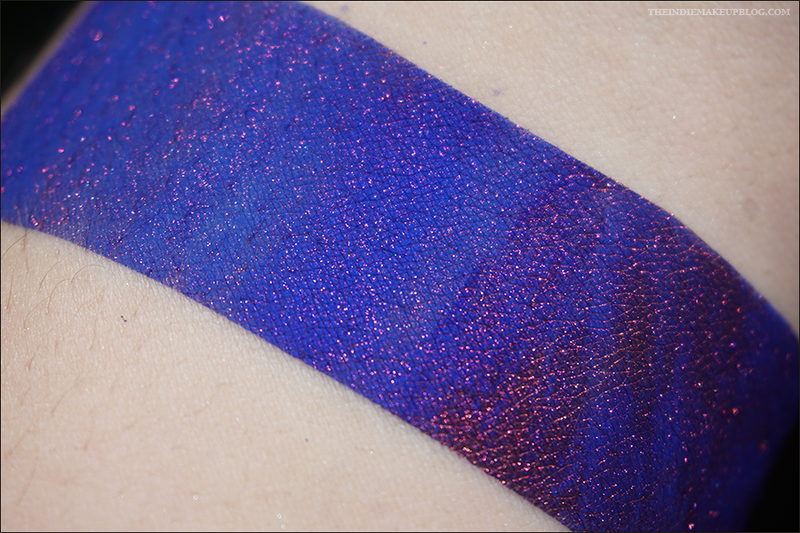 Aurora is a cool light blue with tons of teal, purple, and pink shimmer. Little Green Friend (vegan) is a metallic blue-green. According to the shop this color is supposed to be representational of Yoda and I find it way too blue for him but it's a nice color. 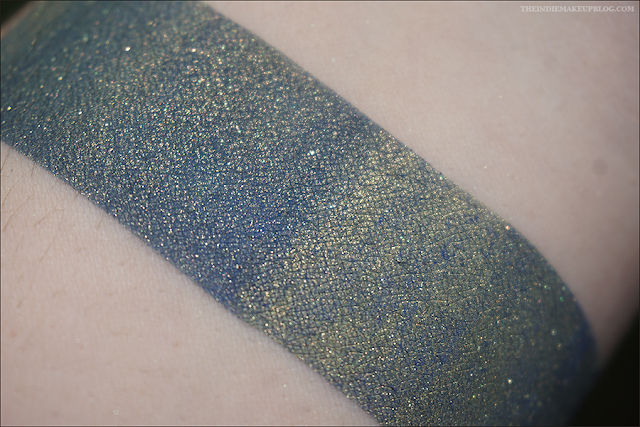 Dagobah Swamp (vegan) is a denim blue base with an olive gold overlay. Okay, this is an interesting shade. The overlay makes this color appear greenish gold until you start it blending it out, then the blue base starts to overtake it. 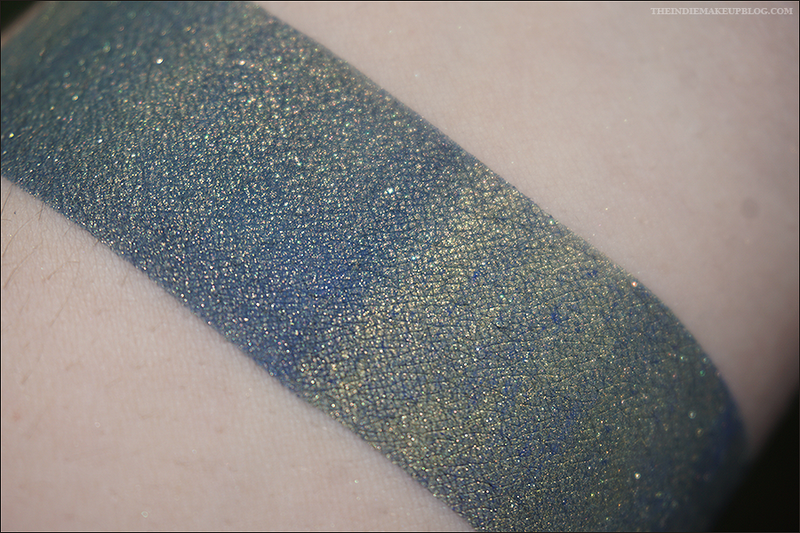 I think I prefer the blue base coming through more so I'd skip a sticky base when using it on my eyes. 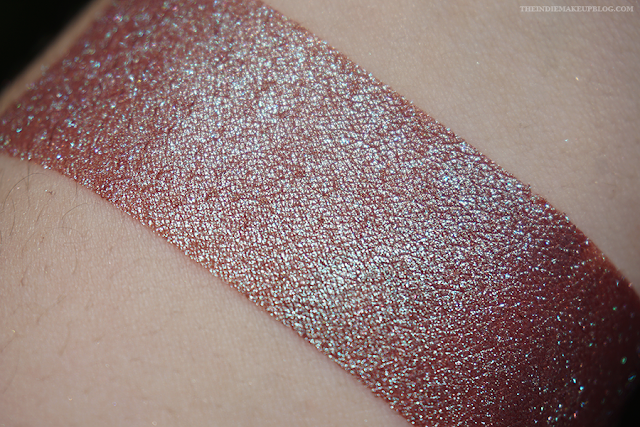 Sad Teddy Bear (vegan, lip safe) is a rich brown-mauve base with an icy blue duochrome. 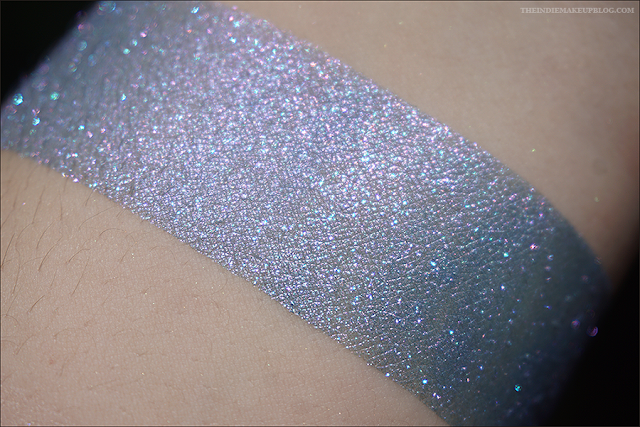 The duochrome effect is really strong over just primer. I can't immediately think of any similar shades. Envenomate (vegan) is a bright royal blue with red shimmer. 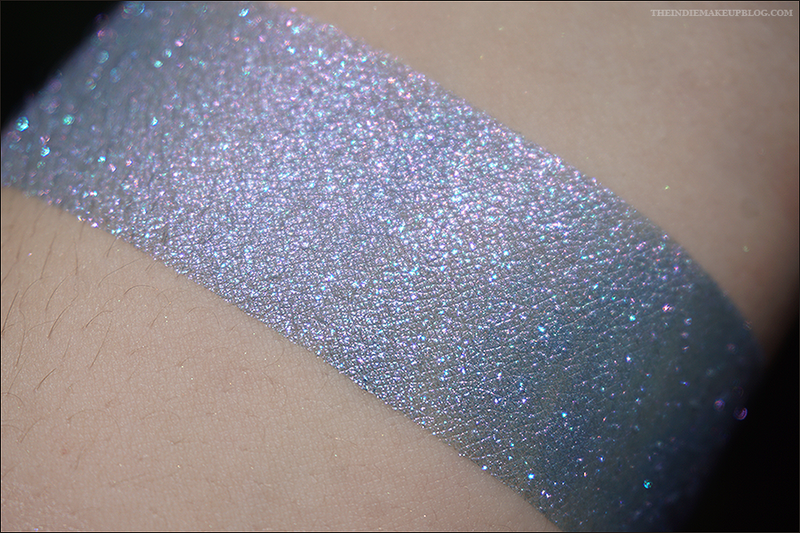 This one applied patchy over GG but hot damn is this shade pigmented! The red shimmer pops nicely against the cool base. The closest shade I can think of is Shiro I Understood That Reference. 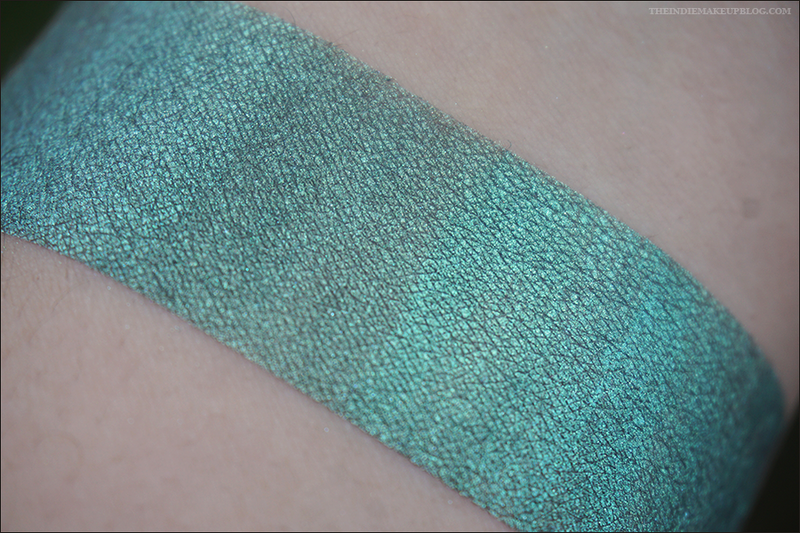 All of the shades had good to great pigmentation, and I'm happy to say that nearly every shade performed just as well or better over primer alone. I know a lot of people don't like to deal with the fuss of using a sticky base so if that's you, you may really like this formula. Now with that being said, I do have a few issues. I think it's very important for cosmetic companies to provide a list of ingredients, preferably on the bottom label but at the very least on the product page. Unfortunately, I found the product descriptions vague and Aurora doesn't even have the ingredients listed at all. Fawkes did not explicitly state that it was non-vegan. I believe it's the responsibility of a shop owner to provide that kind of information for their customers, and in all honesty if I was planning to make a purchase and saw that the ingredients weren't listed, I'd probably decide to spend my money elsewhere. Additionally, many shades don't have proper swatches, which is vital for the indie community as that's the only way to get a picture of what you're looking to purchase. Despite all that, I do like the Chameleon products I have and would consider making an order again because the quality of the shadows are very nice. Adding decent swatches and product descriptions would go a long way with helping the brand not get passed over for others.